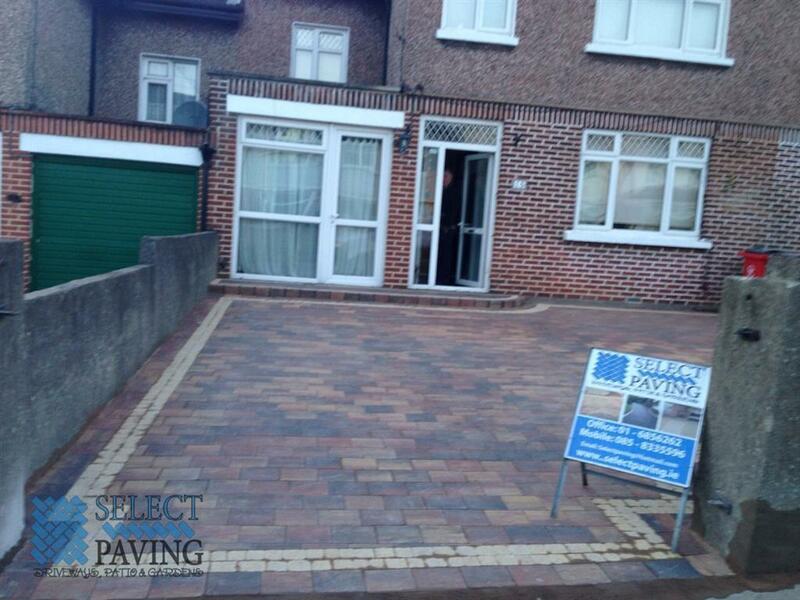 Select Paving in Dublin have over 30 years experience at installing block paving in Dublin. We are experts at designing and installing driveways with block paving and new patio areas. We can help to transform all types of outdoor areas using quality paving products from Kilsaran. Block paving can change the overall outlook of any outdoor area, creating a beautiful finished area that will look good all year round. 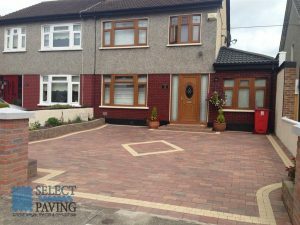 We can provide you with multiple paving choices including standard herringbone patterns to basket-weave, stretcher bond paving, paving circles and other unique paving features. 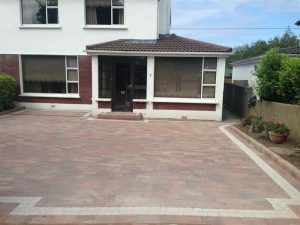 Block paving can be used anywhere around your property, to make a driveway, a patio or walkways connecting the two. It is especially good for driveway areas because it is flexible, can be very decorative, ultra hard wearing, non-slip and virtually maintenance free. 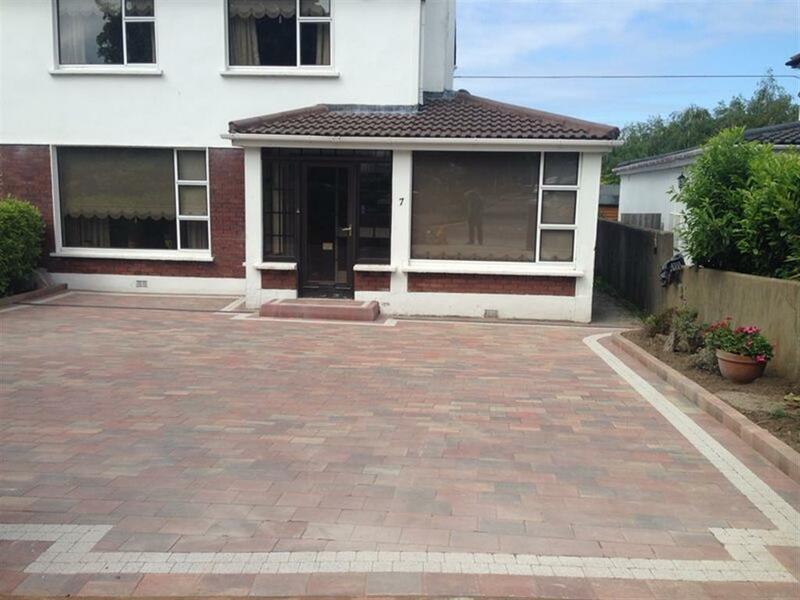 The main advantage of having block paving installed rather than tarmac or concrete is that individual blocks can later be lifted up and replaced should they become damaged in any way, rather than having to have the whole driveway re done. 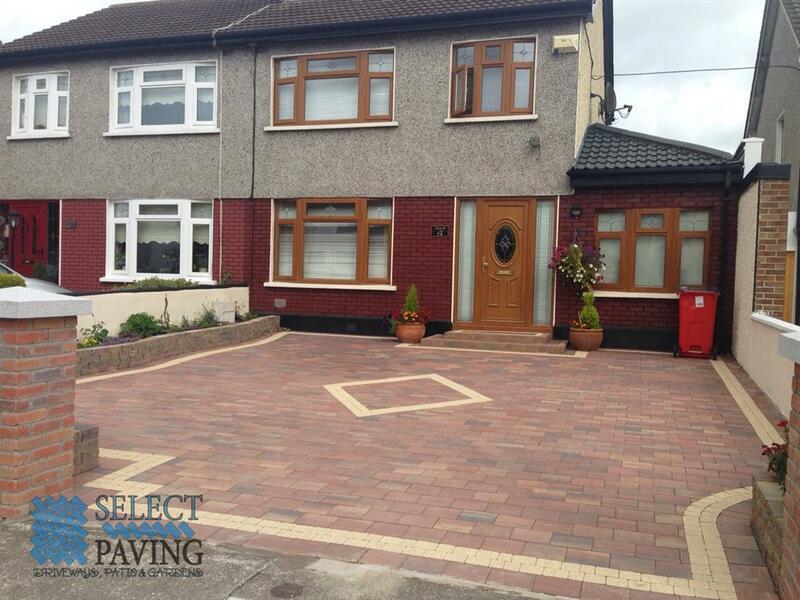 By adding block paving to your home in Dublin, which has been installed by Select Paving, you can increase the value of your home, enhance the outlook of your home and have a functional driveway. Paving blocks come in many styles and can be laid in many different variations. We believe in offering our customers as many choices as possible when it comes to choosing the color, outlook and design layout of their new driveway, patio or paths. This is why we offer actual samples of the blocks so you can choose the one that you feel would best suit your surroundings. Of course, we can help you with that choice and give you the pro’s and con’s of such a choice. 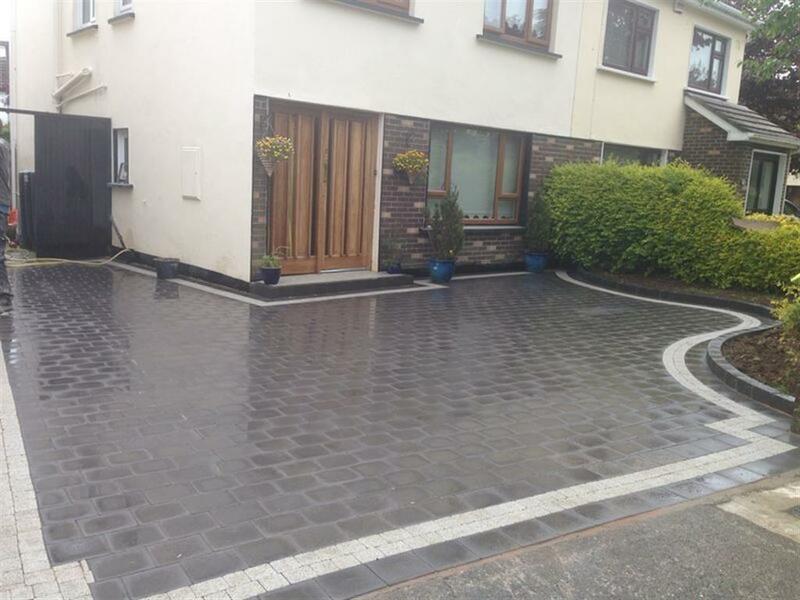 All our block paving is laid on a firm, level and well drained base to ensure long term service and stability. Vegetation and top soil is removed to an approximate depth of 200mm-250mm across the area to be paved. We mark out this area with pegs or retaining boards and adjust their height to the required finished surface levels, ensuring that we allow a fall of 1:80 away from any buildings and walls for surface drainage. The next stage is to set up edge restraints around the area to be paved (these may include existing walls) using block kerbs or concrete edging. The kerbs or concrete edgings are bedded into 100mm of concrete, to the required level, with a 45 degree haunch up the side of at least half the block or kerb height. This is essential to prevent the blocks and the sand on which they are laid from moving. Underground drainage, aco drains or similar drainage including inspection chambers are installed at this stage if required. The area is then to be back filled with 150mm of crushed stone, compacted to 100mm. Onto this, a layer of slightly damp grit sand (grit sand is more free draining than normal sand and is less prone to being washed out) is applied, to the depth of 50mm, and then compacted with a plate compactor. A second layer of grit sand is then applied, to a depth of 20mm. This second layer of sand is leveled to the correct falls. The laying of concrete block paving should always begin from the bottom of any slope, preferably starting from a right angle or a straight edge. Working from several packs at a time is essential when using a mixed size product such as cobble styled paving blocks. We place the blocks on top of the laying course, ensuring they are around 4-5mm above the desired finished level. Once all full blocks are laid, we use a mechanical block splitter or a Con-saw to cut the blocks required for the infill pieces or at the retaining edges. Once completed, we sweep the area and compact with two or three passes of the plate compactor. Jointing of the block paving is preferably completed in dry periods. We apply kiln dried sand to the block paved area, then brush into the joints using a soft brush, ensuring the joints are filled fully. We use the plate compactor on the paved area again, to push the sand into the joints. Once this has been done, we check for any gaps in the jointing and fill where necessary, compacting again afterwards if needed. The sand in the joints may need to be topped up for the first few months after the job is completed. Visit our contact page to get in touch about getting a one page website setup for your company.